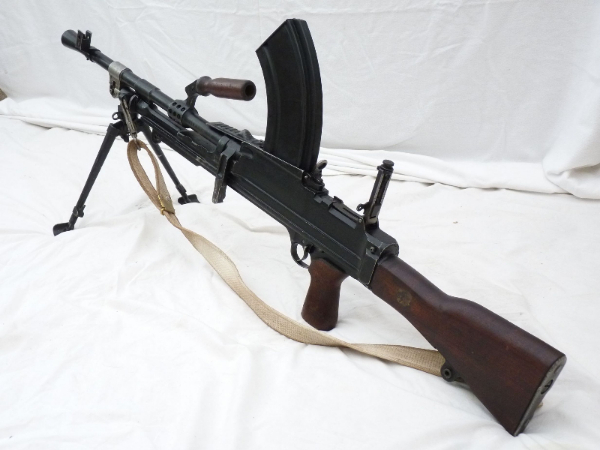 This is the famous British built Bren Gun, based on a Czech design and introduced in 1937 to the British Army, where it continued in service right up to the Gulf War in 1991, although by then it had been reworked to fire the Nato 7.62mm round rather than the rimmed .303 round of WW2. This particular example is a mk3 in very good condition, with good woodwork with only minor marks, and good blacking to the steel. 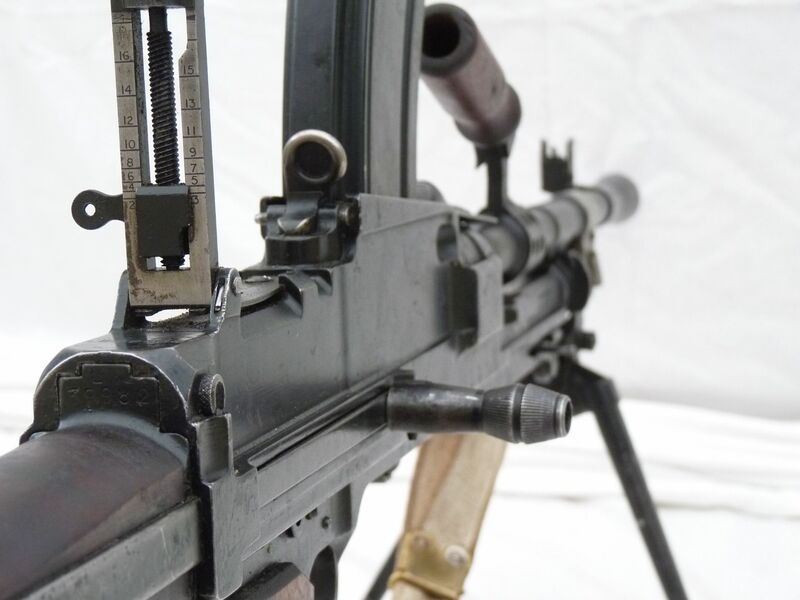 Marked with the superimposed E and D of Enfield, where the mk1s and 3s were built, and dated 1949, it is fitted with mk1 bipod with telescopic legs, and mk1 hinged cocking-handle. 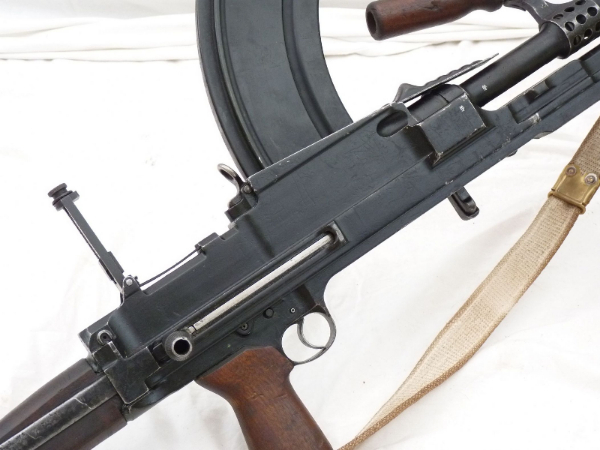 The Mk3 was a lighted mk1 basically, for use by airborne forces, and this example has all the correct lightened features, and is serial number prefixed LB for 'lightened Bren'. 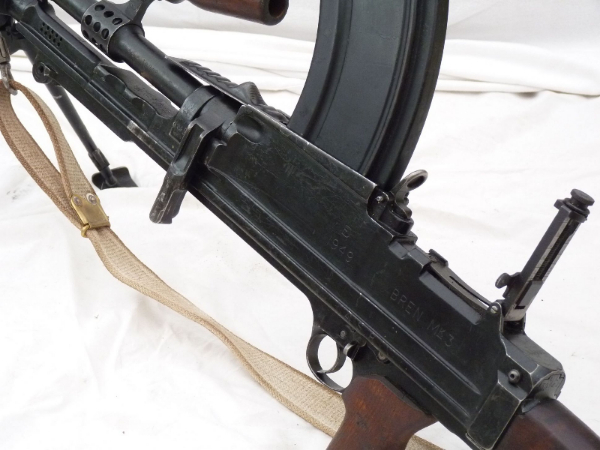 Of great importance is matched serials to receiver, frame, barrel and barrel release lever. 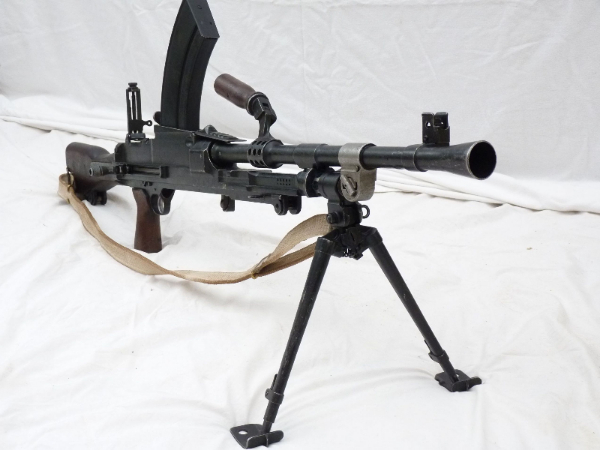 Able to be cocked and dry-fired, and a degree of field stripping, a classic post-WW2 light machine gun, complete with sling and 3 inert rounds of .303 ammunition. Perfect for the ex-National Serviceman! Deactivated in the UK with Certificate to UK specification.